Know your audience when presenting. It’s a vital presentation skill. Because it doesn’t matter whether it’s a trade show or a corporate presentation, you must know your audience. But vital as it is, it’s also a skill that you can work on very easily. If you thought that in planning your next Keynote presentation your last consideration might be your audience…that would be a mistake. 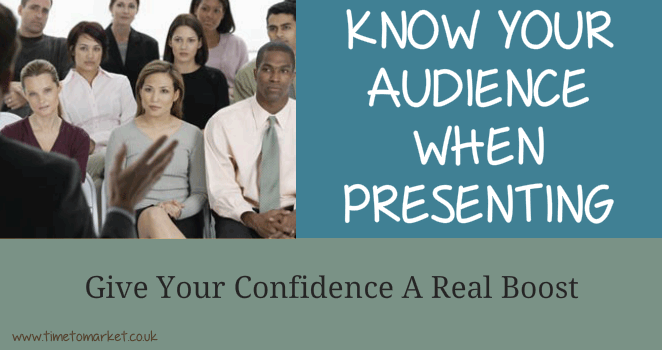 Knowing your audience is the starting point for an effective presentation. You might know your content inside out, but it is only going to be relevant to an audience if you have invested some time to establish relevancy. And that begins with knowing your audience, such as with this HIV presentation in Australia. Your presentation venue, presentation subject or geographic location will all help in your understanding of an audience. But, much better would be a request for an attendee or delegate list from the organisers. This should include delegate names, job titles and organisations. If this is your own event, then you are half-way to knowing your audience already. You can analyse this data to establish an audience profile. For example: 40% of your audience might have a marketing role, 50% have a general management role and 10% have a finance-related role. Or, 20% might work in telecoms, 50% work in IT, 30% work in software and 10% are journalists. This insight will lead you to a better constructed and more effective presentation. You have the opportunity to target your business presentation to the likely needs of an IT/ telecoms audience predominantly working in marketing and general management jobs. This Nintendo President presentation achieved that. Try to develop profile specific scenarios within your presentation to meet the anticipated needs of your audience. These might be used in the main body of the presentation or perhaps, when you take questions. Here are some pointers for how you can get to know your audience. Analyse the job and industry data on the list. Profile your audience and target their needs. This shouldn’t be too onerous. But getting to know your audience will take some time. Once it’s done, you can start the serious effort of preparing the core of your presentation. As well as knowing your audience, you can pick up more presentation skills on a PresentPerfectTM presentation training course. You can choose to join one of our public courses, or perhaps you can organise a corporate training course, either off-site or on-site. It’s your choice. So, please don’t hesitate to give us a call.